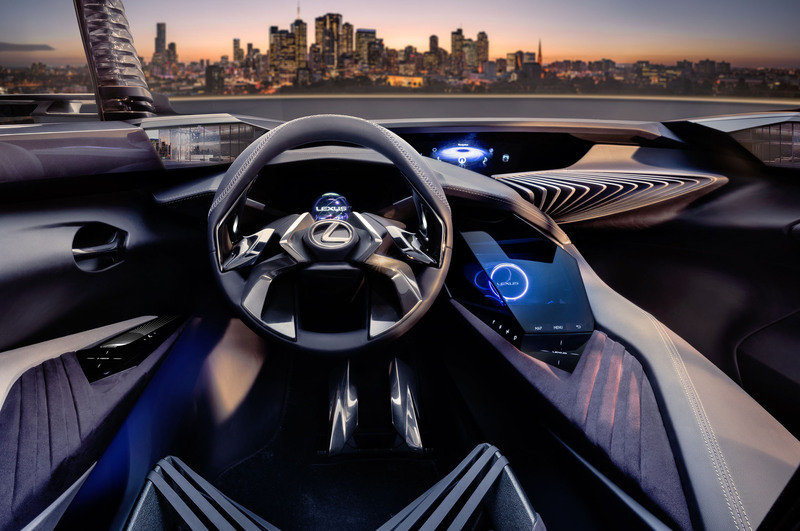 Although it was reported to attract fewer visitors this year in comparison to the 2014 edition, Lexus chose this year’s Paris Motor Show to unveil its latest concept car – the UX Concept which it pitches as a redefinition of Lexus user experience. The Lexus UX Concept was unveiled on September 29 – just two days before the Paris Motor Show opened. The company said the concept incorporates the need to ensure that driving experience remains fun and immersive even as industry trends point towards turning the car into a digital hub connecting the consumer and his or her equally connected home. On the outside, the Lexus UX Concept appears as an aggressively styled crossover that takes Lexus’ current design language and projects it into the next decade. But the inside is, according to Lexus, a simple-to-use supercomputer. “Our brief was to create a new genre of compact crossover; a vehicle that could create something unique from a customer’s point of view — an innovative, three-dimensional, fully immersive user experience,” said Stephan Rasmussen, designer at Lexus’s European Design Centre, ED2, where the car was conceived. Lexus went literally with 3D regarding the interior. In place of speedometer and odometer, the instrument binnacle has a transparent globe and information appears in it in hologram form. Lexus said the concept is to make information appears to float. The main dashboard section is meant to look like crystal that encloses holographic representations of the air conditioning and infotainment system. Another feature of the concept are the electro-chromatic windows that can go from transparent to translucent or opaque with the push of a button — and side cameras instead of external wing mirrors. One of the more esoteric design features is a ribbed horizontal dashboard section that houses the car’s front speakers. It’s actually a detachable soundbar.